The throat represents the internal and external body parts descending from the tonsils down to the opening of the trachea. One may get throat problems internally through swallowing something too big or sharp, or externally such as by a blow to the throat or a strangulation injury that damages the throat. What is a Throat Injury? A throat injury can be due to penetrating trauma to the throat or to a blunt trauma to the throat. Any throat injury resulting in a break in the skin can do extensive damage because there are major arteries and veins that pass through the throat and can cause serious bleeding. One should look carefully at a sore throat to see how deep it is so you can determine if there is damage in major vessels. Blunt trauma to the throat can cause injury to the trachea, esophagus, spine, or even the brain stem. If the person has had a severe blunt trauma to the throat, they should be asked the same questions as a person who may have had a concussion because there may actually be a brain injury with throat trauma. Throat injury can damage the trachea and can cause difficulty breathing, swallowing, or hoarseness of the throat. If the vocal cords are damaged, speaking will be difficult and there can be a hoarse throat or a complete lack of ability to speak if the vocal cords are more than just bruised. Blunt trauma to the throat can affect the cervical spine. If there is any pain in moving the neck, the patient shouldn’t be moved until the cervical spine is cleared by x-ray. You may have to immobilize the neck until the clearing x-rays can be done. 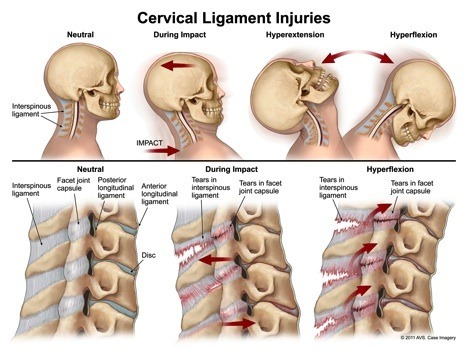 Because of the number of important organs (the thyroid, vocal cords), blood vessels (carotid artery, jugular vein), and nerves (the spinal nerves of the cervical spine) involved in the throat, any kind of blunt or penetrating trauma can do a great deal of damage, even with a seemingly minor injury. Automobile injuries, being struck by a blunt object or being cut by metal or glass. Sports-related injuries, such as being struck by another player’s extremities or helmet. Altercations, like being punched in the throat or kicked in the throat. Accidental falls, such as landing on a sharp or blunt object. The throat has no particular bony cage or protection so it is open to trauma in many different ways. Some of the symptoms are the same as with any soft tissue trauma. Others are specific to the throat and the structures of the throat. There is the thyroid gland, major blood vessels and nerves, the trachea, the esophagus and the cervical spine to think about. More men than women get a sore throat, in part because they engage in high-risk behaviors. 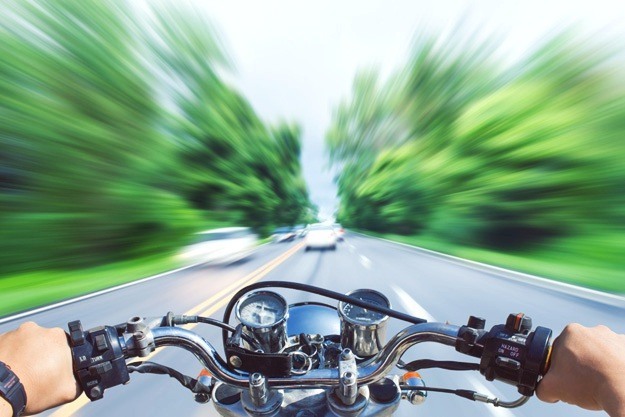 Many high-risk behaviors include driving too fast, driving recklessly, engaging in high-risk sports such as boxing and football, and being prone to altercations with people who might strike them with their fists, their feet or their weapon. People who practice martial arts are at higher risk of sustaining a throat injury. The diagnosis of a throat injury depends on a careful knowledge of the anatomy of the area of the throat. In such cases, follow the ABCs of diagnosis and first aid. If there is bleeding from a laceration or puncture wound, the doctor must determine the involvement of any major vessels. If the patient is stable, an angiogram to assess the carotid artery and jugular veins integrity. Immobilize the cervical spine if there is any chance of cervical pain. When in the emergency department, execute a lateral cervical spine x-ray in order to rule out a major cervical injury. Following that, remove the c-spine from immobilization and perform a complete cervical spine series. Involve orthopedics if there is positive evidence of a cervical spine bony injury. If the voice is hoarse, a tube with a camera (a laryngoscope) can be dropped into the oral cavity and the vocal cords can be visualized to see if the cords are fractured, dislocated or perhaps just swollen from direct trauma. If there is the possibility of a hematoma or other structural problem that cannot be assessed from the outside evaluation, a CT examination or MRI exam need to be done to see the internal structures of the head and neck. This could help the surgical procedures done on the patient and can assess things like the patency of the trachea, the integrity of the esophagus and the structure of the thyroid gland. There is first aid treatment for a throat injury and definitive treatment at an emergency room or hospital. Contact 911 as these situations can go bad quite quickly. Keep the person sitting but semi-upright to keep blood flow to a minimum in the area. Tilt the head back. This will open the airway. If the victim stops breathing, do rescue breathing. Apply direct pressure to any bleeding areas. Check the person’s breathing periodically. Put ice on the sides of the neck. This will reduce the swelling. If there are signs of shock, elevate the legs and keep the patient warm. If the victim vomits, roll him to one side and sweep the vomit out of his mouth so there is no compromise on the airway. Monitor the patient’s status continuously until help arrives. When the patient arrives at the emergency room, they will need an IV to stabilize the blood pressure. Assessment and management of the area involve intubation or possibly a cricothyrotomy, which is a hole in the neck to create an airway when the airway above it has occluded. When the breathing is adequate, the doctor turns to the bleeding. Doctors apply ice to quell internal bleeding, and direct pressure to the bleeding wound until evaluation and treatment (possibly in the operating room) is possible. If there is a cervical bony injury, the cervical spine has to be immobile, possibly with surgery to fuse the injured bony fragments. This will involve care by the orthopedic surgeon. If there is damage to the thyroid gland, the victim does not come down with post-injury hypothyroidism. Brain injury from extended shock. This would happen if there was an injury to the carotid arteries or jugular veins. The throat is an extremely vulnerable place for many injuries. If not treated promptly and correctly, these injuries can lead to life-threatening sequelae and permanent damages. Unfortunately, most of these injuries happen in young people who have many potentially good years ahead of them. If you or a loved one has suffered a throat injury due to another's negligence and would like to discuss your legal options, contact an experienced injury lawyer.